A sweet and savory chicken recipe perfect for Friday night dinner. Za’atar is definitely one of my favorite spices to use, and there is no shortage of ways to add it to a variety of dishes: on pita chips, roasted chickpeas, hummus, shakshuka, and even garlic confit! The addition of honey in this recipe makes it the perfect festive dish for the High Holidays, but it’s also simple enough to make during the week. 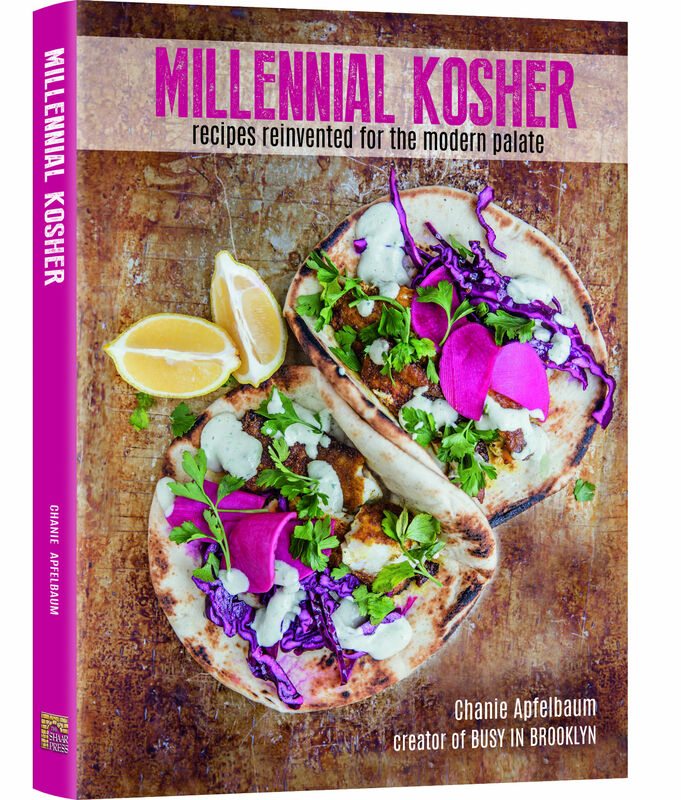 This recipe is reprinted with permission from Millennial Kosher by Chanie Apfelbaum, ArtScroll/Mesorah Publications. Preheat oven to 350°F. Spread apricots and prunes into a 9×13-inch pan. In a bowl, combine za’atar and olive oil to create a paste. 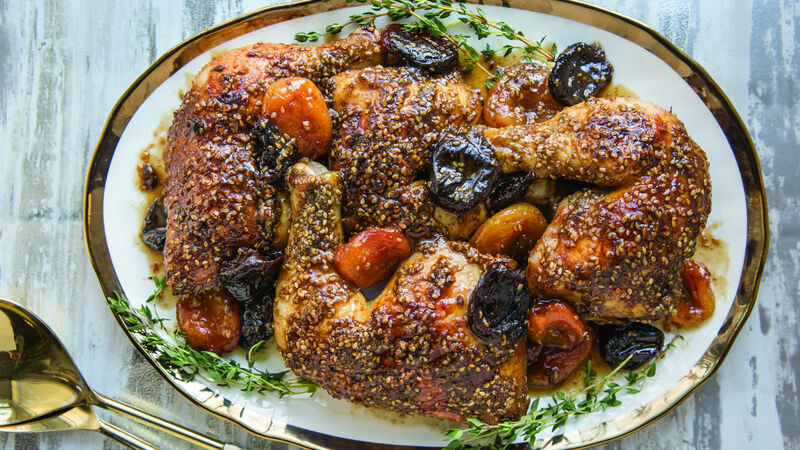 Rub the za’atar paste over chicken; place chicken on dried fruit. Pour wine around the chicken; sprinkle with salt. Cover tightly with foil; bake for 1 hour. Uncover the pan. Drizzle the chicken with honey. Bake, uncovered, for an additional 30-45 minutes, basting every 10 minutes with the pan juices.